An important focus area of the Children’s Coalition is Youth Development. Statistics show that supportive relationships bring safety, stability, and encouragement to young people’s lives. In addition to the empowering and supporting youth, adults must work together to address some of the serious problems faced by our teens. 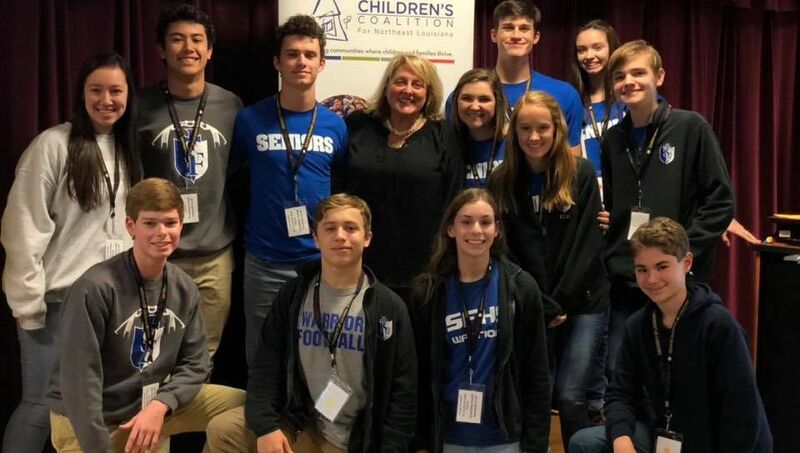 The Ouachita Youth Summit is an opportunity for youth ages 12-17 across Ouachita parish to come together to hear from experts about issues that matter to youth, develop their leadership skills and get the tools to create an action plan so they can make their community a better place. ​"​The Ouachita Youth Summit has been a wonderful and fun learning experience that has meant so much to me! It has truly been an honor attending and representing my school the past three years. I have learned so many life lessons around social media, suicide, confidence, and making wise decisions that have shaped the way I think today. I strive to be the best I can be for myself and my community and I credit the OYS for that. It has helped me challenge myself, face my fears, and help others as I have grown tremendously as a person to prepare for college and the real world!" 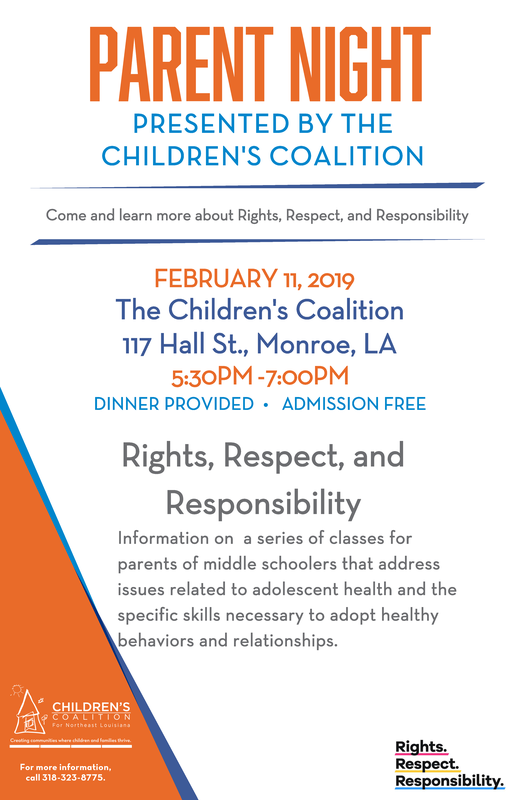 Working closely with Louisiana Public Health Institute (LPHI) staff and local health, school and community-based organizations, the Children’s Coalition will engage in coalition building to help identify and meet the reproductive health needs of adolescents. The goal of the 10-month project is to map the assets of the community to better understand the barriers to, and opportunities for, services to support adolescent reproductive health in Ouachita Parish. ​The Children’s Coalition is proud to host the Youth Services Planning Board for the 4th Judicial District (YSPB). The goal of the YSPB is to "promote accessible, culturally relevant services for the prevention, intervention and treatment of children, youth and families in or at-risk of entering the foster case or criminal/juvenile systems.” The 20-member board consists of members who are representative of law enforcement, health care, mental health, substance abuse prevention and treatment, social services, education, faith-based organizations, businesses and parenting and youth organizations. See the next meeting on the Community Calendar: 4th JDC Youth Advisory Planning Board.